It’s Friday everyone; can I get a whoop, whoop?! I’m always happy when Friday arrives, but I’m particularly happy today because it’s a bank holiday weekend. 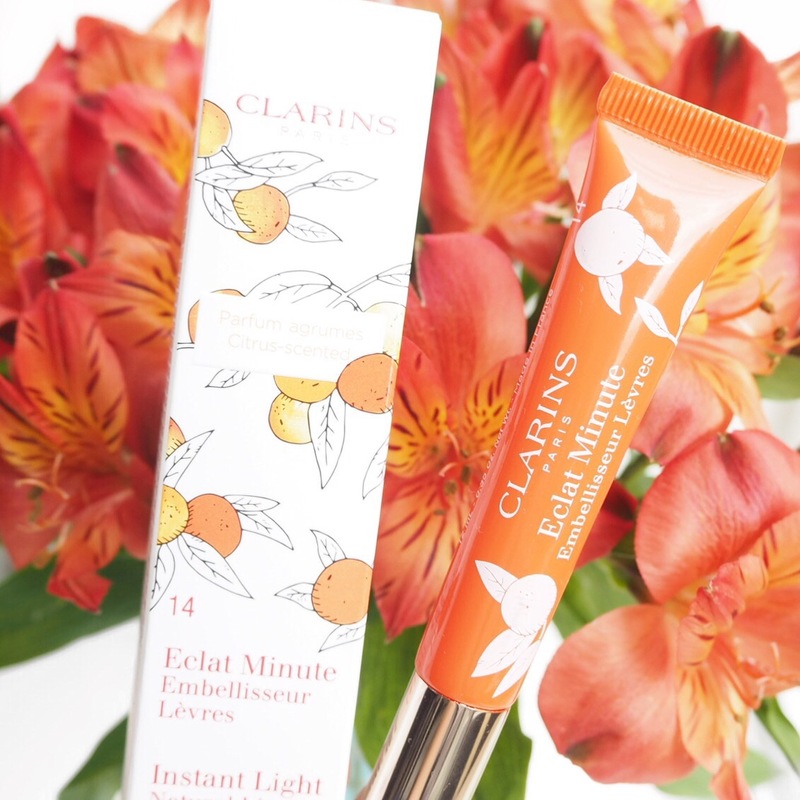 For my lippy choice today, I decided to try out a gorgeous new limited edition lip perfector shade from Clarins which I was very kindly sent last week to try out and have to say, am a little bit raging I haven’t discovered these before now. 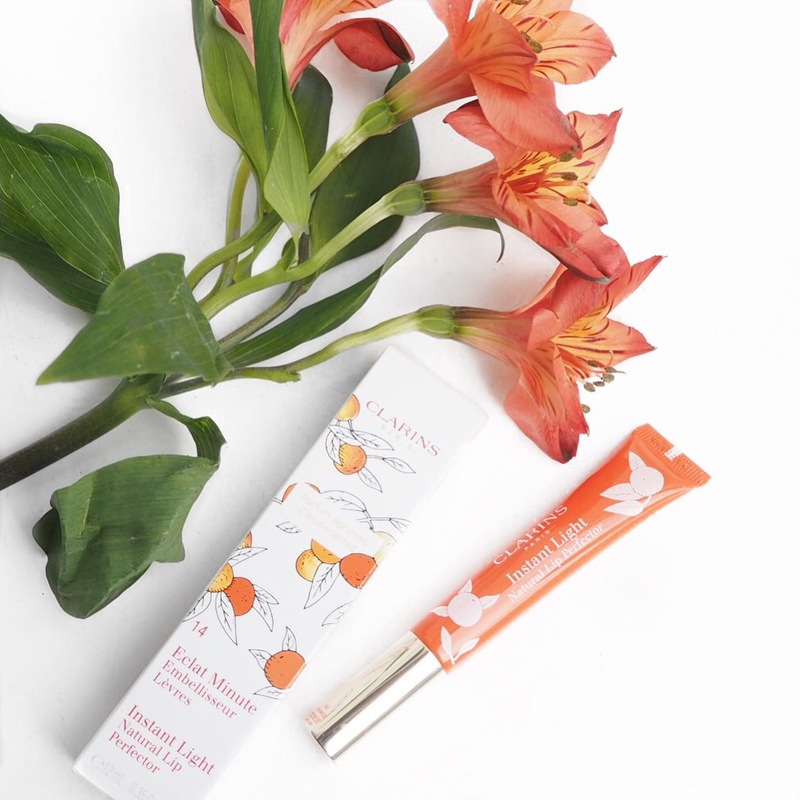 Clarins has always been a reliable, good quality brand, but lately they are just on fire with their product releases. From their gorge packaging, to some very clever products; they are very much a favourite brand of mine. 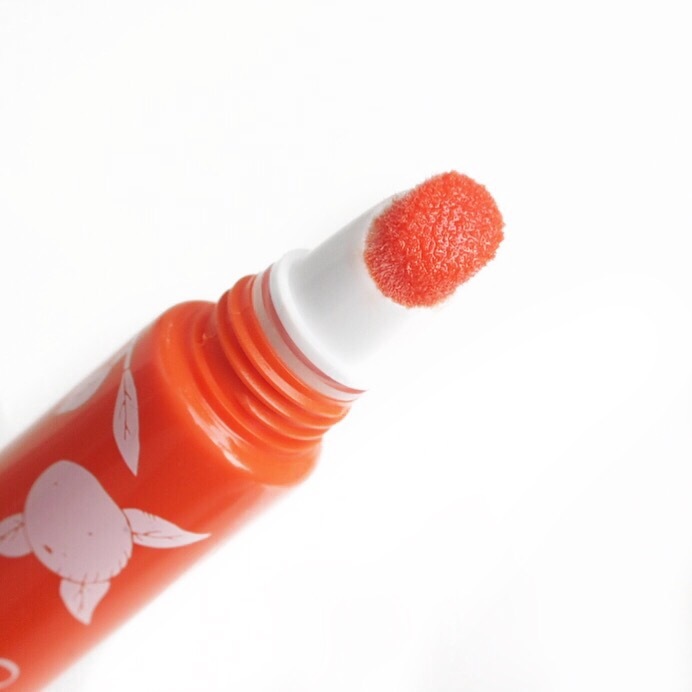 Apparently these lip perfectors have been around for a while (who knew?! ), but I was completely unaware of them until Clarins released two new limited edition shades for Summer. The shade I’m wearing today is a lovely sheer mandarin orange, which pretty much tastes like mandarin too, and had a gorgeous soft gloss finish with zero stickiness. 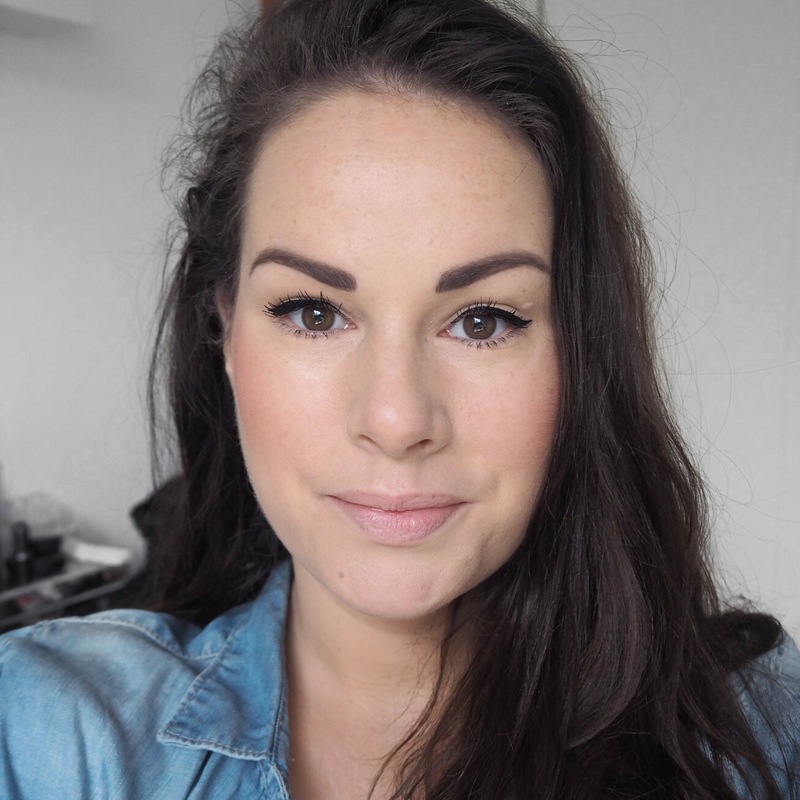 In a similar way to their lip oils, this lippy manages to give a high shine gloss while still feeling creamy, and the pigment is pretty good too. Plus, the soft sponge application tip makes this so easy to apply. I’m so impressed with the formula and it was so nice to wear today. I don’t think this is my favourite shade that I’ve worn; it’s maybe just a bit too orange for me, and it’s not a particularly long lasting lip gloss. But, as far as texture, finish and consistency go, I’m sold! This particular shade is limited edition so I’m not sure how long it will be around for but, Clarins do have regular collection shades in this if you’re thinking of trying it! I actually REALLY love that color! It gives such a nice, rosy look. It’s gorgeous on you! Beautiful blog post! 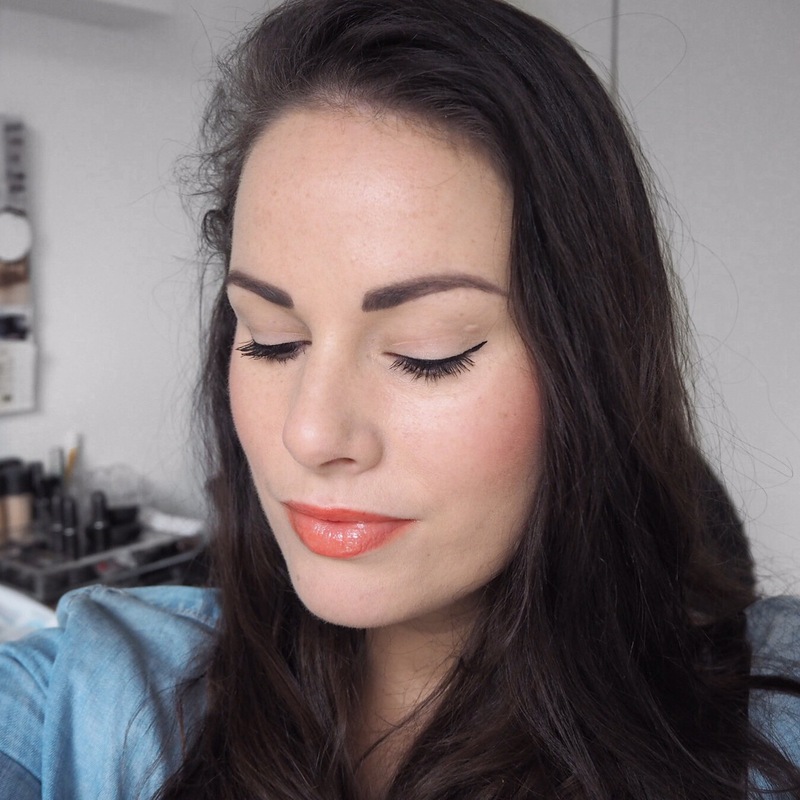 Feel free to check out my most recent post too! Aw thank you!! 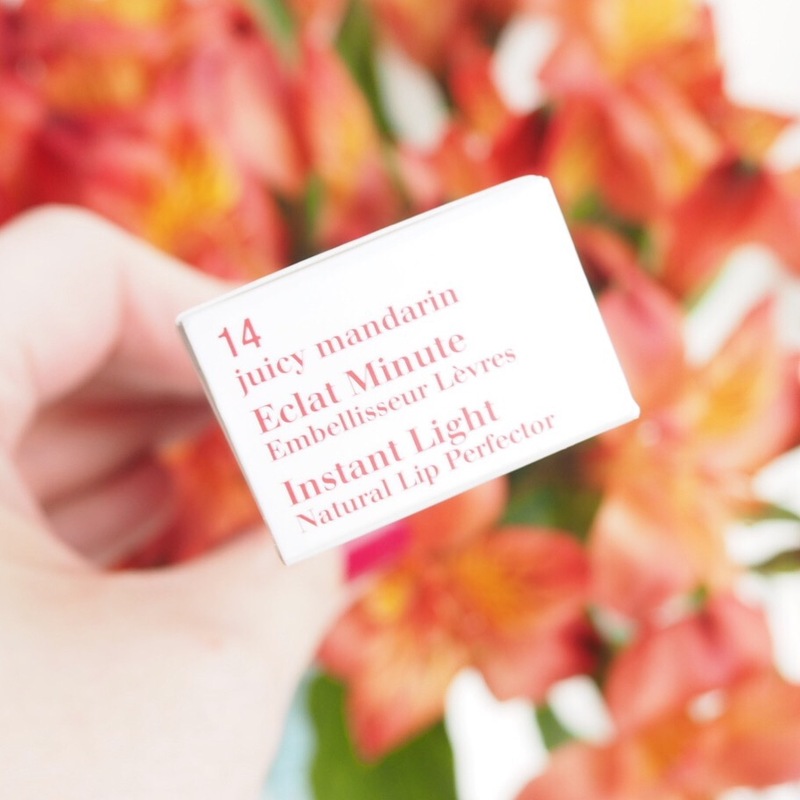 I love these lip oils, they have such a soft consistency and feel so nice to wear.